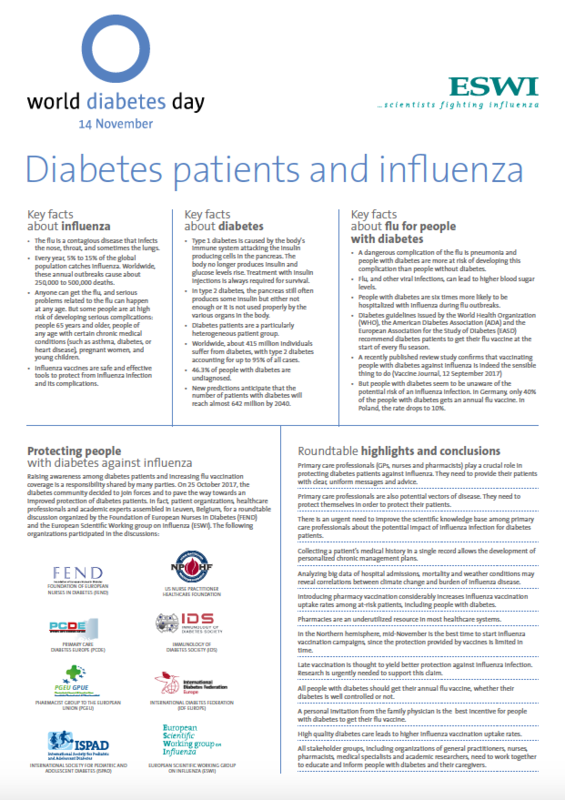 On 25 October 2017, the diabetes community joined forces to pave the way towards an improved protection of diabetes patients. In fact, patient organizations, healthcare professionals and academic experts assembled in Leuven, Belgium, for a roundtable discussion organized by the Foundation of European Nurses in Diabetes (FEND) and ESWI. The main take home messages of this important event have now been summarized in this easy-to-grasp fact sheet. 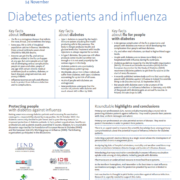 Benefits of flu vaccination for persons with diabetes mellitus: A review ESWI Best Presentation Awards: congrats to the laureates!